Basically: A white racist and a black activist fight over basic human rights in the south in the 70s. Here we go again, Hollywood. Another film set in the mid-20th century dealing with race. And what do you do? You spend the whole movie humanizing and saving the racist white dude. 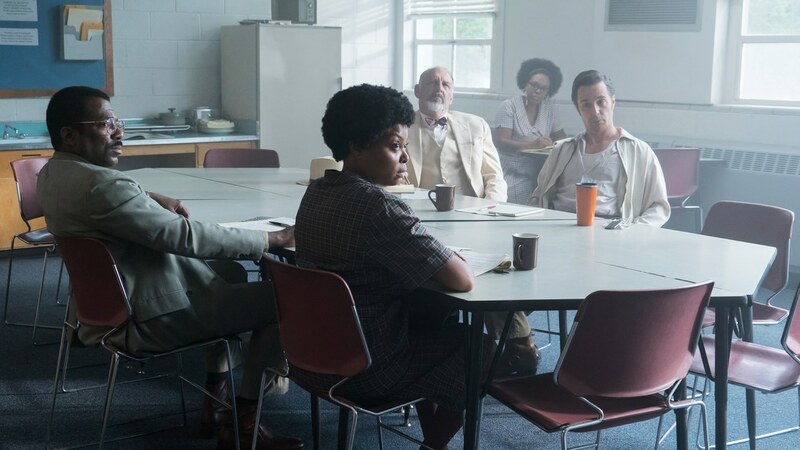 No, this review is not more words on Green Book, this time it’s The Best of Enemies. 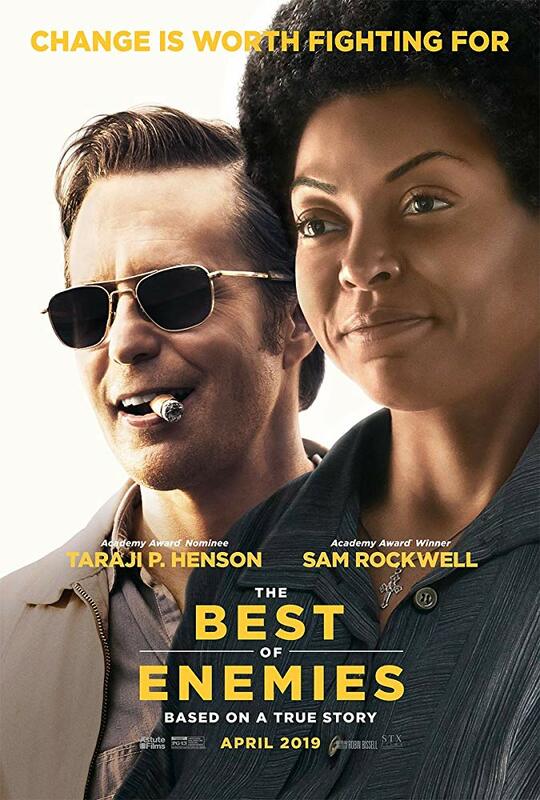 The film stars Sam Rockwell and Taraji P. Henson and when you see the poster, or the commercials, or the trailer, it looks likes they are equal players…but no no no, that is not the case. YOU’RE WATCHING A MOVIE ABOUT HOW A RACIST LEARNS HOW TO NOT BE RACIST. Photo © Motion Picture Artwork2018 STX Financing, LLC. All Rights Reserved. My main issue with The Best of Enemies is that you feel tricked into watching a movie about the journey of a Klansman becoming not racist. The black characters in it, like many other films, help Ellis along this process. It’s a well-performed movie by great talents but, much like Green Book, it’s just to make white people feel hope or that they can be changed. This isn’t condemning white people…but it’s a weird story. Even though there were a few movies in the 2000s that dealt with showing Nazis as less cartoonish, they are never really humanized. The Best of Enemies has the same problem: Even though Ellis changes by the end we have to sit through a lot of bad. Plus, he only really ends up changing because of the Klan’s actions against another white man. We never really get more about Atwater—not her motivations or her struggles as an activist—in the same way we understand every single trial of Ellis’ life. Maybe if this came out fifteen years ago no one would care. Now, this whole movie feels tone deaf and out of touch—no matter how good Henson and Rockwell are at acting. In the End: Another movie where black people have the burden of making racists understand they are human beings.